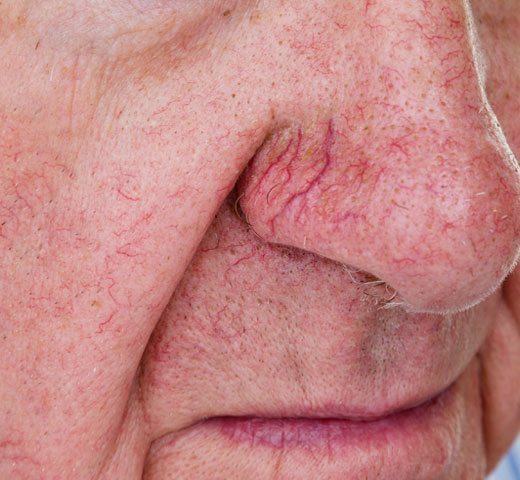 Rosacea, broken capillaries/blood vessels, venous lakes, port-wine stains, & facial redness are among some of the numerous vascular disorders of the skin that we treat at DLVSC. At your consultation visit, we will create a tailor-made treatment plan from our large selection of FDA-approved laser & light-based devices. Vascular conditions sometimes require a series of treatments to achieve the maximum benefit, but dramatic improvement is usually evident with each session. Vascular laser & light-based procedures are quick, comfortable & non-invasive.